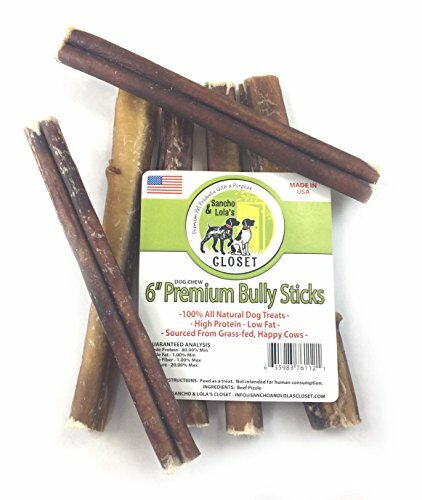 Our Bully Sticks are all-natural, single-ingredient, (naturally organic) chews, hand-trimmed in meat processing plants, not in a lab setting like cookie-cut dog treats. To ensure year-round availability they must be sourced from different USA ranches, thus it is difficult to guarantee exact color, shape, smell or texture every batch. They are baked in USDA approved facilities, not hung out to bake in the sun as they still do in many foreign countries which can incubate bacteria. Our manufacturers must meet high safety standards and use constant 3rd-party testing. Our products come with a money-back guarantee, in case your dog is not a fan or they do not agree with his tummy. Please 'opt in' to get our follow-up emails so you will have our contact information. If your dog does have a sensitive stomach, you might start with our 'crunchy' bully sticks which contain less moisture. Bully Sticks always vary by weight. Denser sticks last longer. Thus, we sell bags by weight, not just count. We also hand-grade for different size dogs. We control what we can, but batch variation is what makes our sticks truly natural chews. Your dog is a natural connoisseur of beef. Why not treat him to gourmet, single-ingredient all beef chews, not beef by-products treated with dyes and chemicals to please the nose and eyes of humans. We encourage you to try a few brands. Most of us face similar challenges. Hopefully, you'll notice that we go above and beyond to deal with our challenges. Most brands on Amazon spend thousands of dollars giving free products to Review Clubs. We decided we'd settle for getting reviews organically and spend our resources helping dogs in need. Our Mantra is "Pet Products with a Purpose" because Sancho & Lola's Closet was founded on the belief that Every Dog Deserves a Forever Home. Since 2015 we have supported canine rescue with product donations, monetary donations and connecting fosters with dogs in 'crisis'. QUALITY: Gourmet, American beef pizzle hand-graded and packed by weight to insure consistency. Our Standard Sticks typically range from .7-1oz. FEBRUARY batch sticks only averaged.5oz, so these are being sold as 'Thin' for small dogs and we are using our lower end Thicks as 'Standard'. Bags may have 5 sticks, but you will still get the usual weight, if not slightly more. See our 6" or 12" THICK bullys for dogs over 50lbs. These sticks will be 1.2oz and higher. NATURAL: One Ingredient--beef. No growth-hormones and no cheap fillers. Eating Clean and Paleo is best for most dogs. Moderate odor 'relative' to other natural bully sticks. DENTAL CARE: Natural muscle fiber stimulates gums and flosses teeth... naturally giving your dog a whiter smile. SAFE ALTERNATIVE: Antlers can break teeth, rawhide rolls can cause blockages and cooked bones can splinter. Bully sticks are made from tissue that is fully digestible. If you have any questions about this product by Sancho & Lola's Closet, contact us by completing and submitting the form below. If you are looking for a specif part number, please include it with your message.